Very interested in this site / service and enjoyed the one workout I tried out. 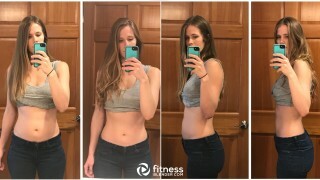 I'm on a mission to get some healthy habits going (I'm a mom in my early-forties) - curious about the benefits of a "program" vs. just choosing workouts at random on the site. I'm looking at the Bodyweight workout and the 30 day trial. I do Pilates and run irregularly, so I'm reasonably fit, but not in a great daily workout habit yet. Welcome any and all advice!